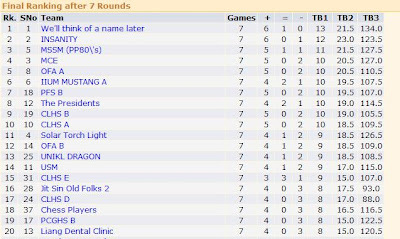 Wong Jian Wen (the above picture) won the DATCC Renegade Chess Rapid being held yesterday. He won all his first six rounds and drew the final one with blogger Ilham. He scored 6.5/7 points and leading 1/2 point over four other 6/7 pointers. SYABAS and TAHNIAH to all the winners! To all the others including GiLoCatur, DO NOT GIVE UP to participate in chess tournaments if you don't win any. Keep on playing chess. Keep on competing. Keep improving. ENJOY THE GAME! Go to Ng6's blog here to view his photo gallery of the tournament. GiLoCatur and the kids just came back home from participating in the DATCC Renegade Chess Rapid. Now we are get ready for a family dinner outing after everyone is tired after seven rounds of G/25 chess matches. Do you want to know who is the champion? who are the winners? Click here for the final ranking. GiLoCatur will write further about the tournament and share some photos later. Starting from today, GiLoCatur will create and write entries for Chess ... Dulu-Dulu. The entries are about chess events of the yesteryears from the collection of Encik Bakri, the father of FM Anas and his sister, WFM Alia. GiLoCatur uses the same name of the facebook group created by Encik Bakri. 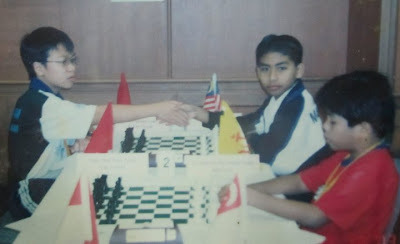 Can you name the young Vietnamese GM in the above picture who was playing against FM Anas (right)? Is Malaysia Ready For 26th SEA Games Chess? Indonesia will be hosting the 26th SEA Games in November 2011. Palembang which is located in South Sumatera has been chosen as the main venue for the games participated by eleven South East Asian countries including Malaysia. GiLoCatur is very happy that CHESS will be one of the 44 sports disciplines included. In its 25th edition two years ago in Laos, chess was not included. Eight gold medals are at stake for chess in the 26th SEA Games. Where the venue for chess is going to be? 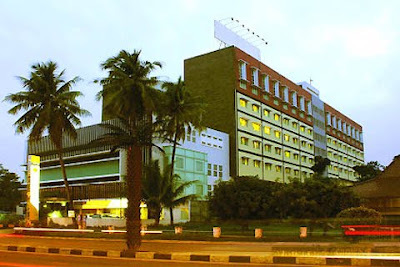 It will be at the Jayakarta Daira Palembang Hotel (below picture). Indonesia has started its selection process for the chess team. Currently, 71 Indonesian chess players are competing in the Seleknas Catur SEA Games to be included in the team to represent the country in the chess event during the SEA Games in November. Six players among the men and women each will be joining GM Susanto and WGM Irene for the Indonesian chess team. Read here and here if you want to know further details of the selection tournament and criteria. Maybe we can learn something from them. If you want to know who will be selected, go to chess-results.com here and here. How about the chess team for Malaysia? How is the preparation? When and how is the selection? What is the medal target? If Indonesia which has grandmasters and made early preparation just target TWO gold medals, what is the realistic target for Malaysia then? Just silver or bronze medals? Wow! "Blogger untung RM1 juta"! Wow! Bloggers like GiLoCatur are smiling reading the above story in last weekend Berita Minggu's frontpage news coverage. Blogging can be a well-earned career or job. The blogger highlighted in the news paper is MIRA ABU BAKAR or popularly known as Redmummy for her blog identity. GiLoCatur wrote about Redmummy in March last year under the entry of "GiLo ... RED!" here. One interesting fact about Mira is she plays chess, and is the lady's champion for five consecutive years in her company's annual chess competition. Kenape? 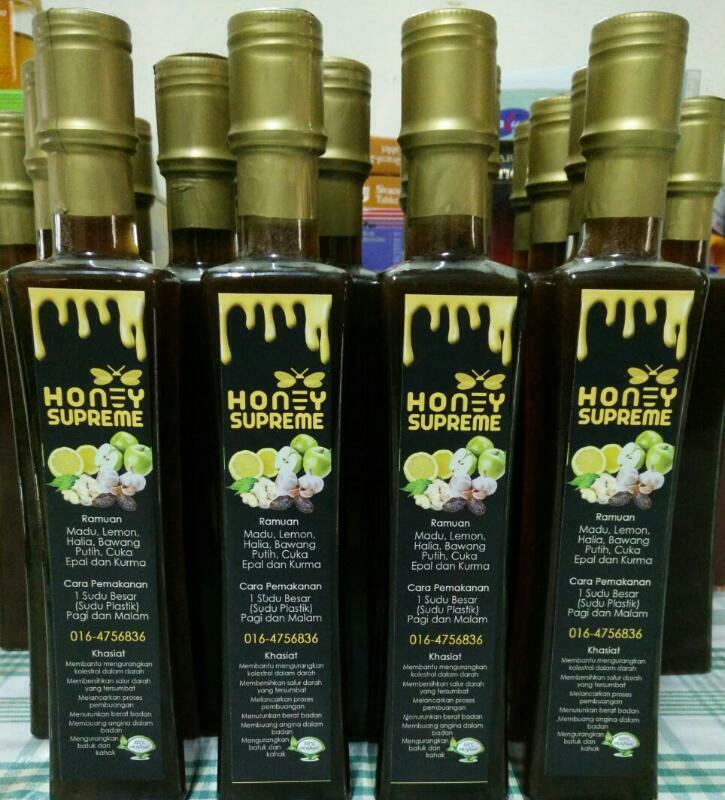 Tak percaya? Click here to see the proof. Another blogger being highlighted is AIMIE HARMELIA MOHD HASHUMI, the blog owner of JEJARIRUNCING ( http://jejariruncing.blogspot.com/ ). She is in fact happened to be the girlfriend of Malaysia's first goal keeper, Khairul Fahmi Che Mat, who helped the team to win the AFF Suzuki Cup. SO, how about chess bloggers like GiLoCatur? Can they earn, no need 1 million or 100k or even 10k, say just 1k per month? (Sorry, you don't know what k stands for? 1k = 1000). GiLoCatur would be very happy enough with that amount. Because GiLoCatur can use that money for chess. HOW our chess blogs can become like the Redmummy or jejariruncing blogs? Any idea? One of GiLoCatur's targets this year is to improve the blog, to attract more visitors, to promote the blog to reach non-chess community and to outreach as many people as possible. Was there any chess event held in Malaysia last weekend? The answer is YES, just that GiLoCatur and family did not take part in any. At Sekolah Kebangsaan Bukit Damansara (SKBD), an age-group chess tournament, also referred as the 3rd KL Junior, for primary school children had been organized by MSSWP. Meanwhile, at the Penang Universiti Sains Malaysia (USM), a chess team event was held yesterday and the day before. More than 50 chess teams had participated in the 7-round chess event comprise of young and veteran Malaysian chess players. That means at least 200 chess players were participating since a team consists of four to five participants. 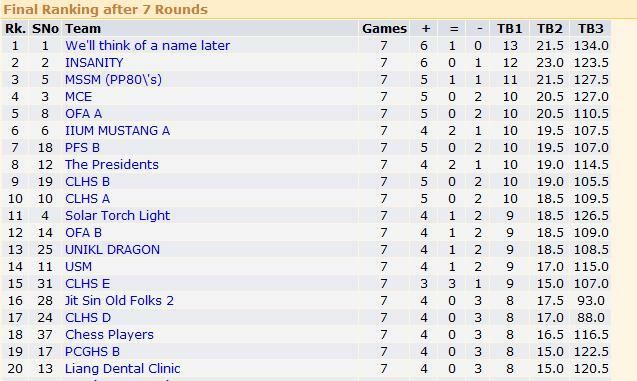 The team with the name of "We'll think of a name later" had emerged on top after winning 6 games and drew one. The team that has an average rating of 1938 is led by Marcun Chan. His other three team mates are Abdullah Che Hassan, Nik Ahmad Farouqi, and Kamaluddin Yusof aka Abang Bro. What a very balanced and strong chess team in the eyes of GiLoCatur. They are are also among Malaysian active chess players who participate in many many local chess tournaments. The reward for the champion is RM 1,000 plus medal. Syabas and Tahniah to them! A team named INSANITY which comprises of Malaysian teenage chess players is placed second. The team led by NM Evan T. Capel only lost once in the fifth round to the eventual winner. The third place went to a team of 1980's MSSM players after securing 11 match points from 5 wins, 1 draw and 1 defeat. note: All the above photos are from GiLoCatur's collection during the recent 17ChessClub Open event. Another National-Rated Rapid Chess Tournament!! 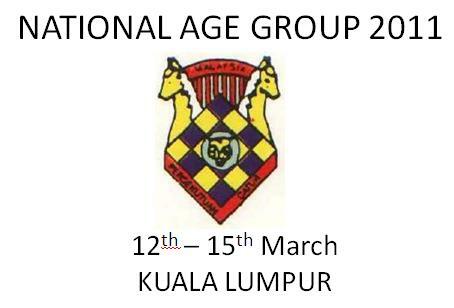 ANOTHER NATIONALLY-RATED RAPID CHESS TOURNAMENT FOR MALAYSIAN CHESS PLAYERS AND ENTHUSIASTS. As GiLoCatur goggled in the NET, rapid chess tournaments are also organized and common in other parts of the world. In India, there is a weekly rapid event known as EVERY SUNDAY RAPID CHESS CHAMPIONSHIP. Click here to check it further. There is also a rapid chess tournament participated by world chess masters and expert as per reported here. In the Biel International Chess Festival, rapid tournament is also part of the events organized. In our neighbouring ASEAN country of Phillipines, rapid chess event is also being held and organized. Here is an example of such tourney. SO, LET'S HAVE MORE AND MORE RAPID CHESS TOURNAMENTS IN MALAYSIA. 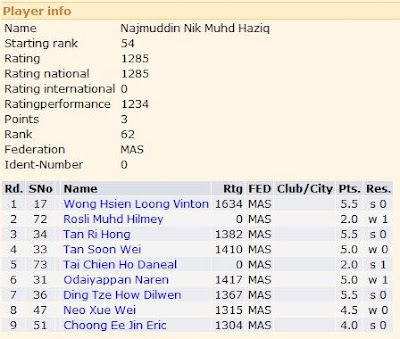 JUST THAT MALAYSIA SHOULD BE REPRESENTED IN THE WORLD RAPID CHESS EVENT. ISN'T THAT THE CHAMPION OF THE UTP NATIONAL RAPID CHESS CHAMPIONSHIP IS ENTITLED FOR THAT? GiLoCatur feels happy to read the Rating Review of the Kelantanese chess players made by Cikgu Jijoe in his blog here. He is very concerned for the ratings dip especially by the state's chess junior players. Rating review is the first step to ensure chess standard and quality to improve in every state of Malaysia. Next steps shall be planned, devised, addressed and implemented to avoid rating points drop to happen. Such effort should be followed by other states chess community especially MCF in order to improve and better the chess standard and quality in Malaysia. 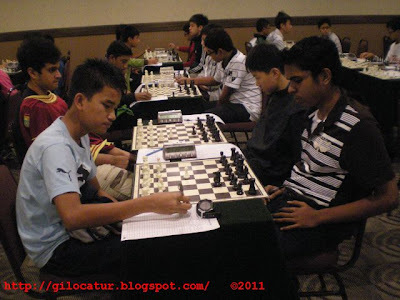 Let GiLoCatur share some analytical insights relating to the Kelantan chess juniors. Hopefully, this will trigger further discussion and study on Malaysian chess junior players for one main objective - to improve the standard and quality of our juniors performance. 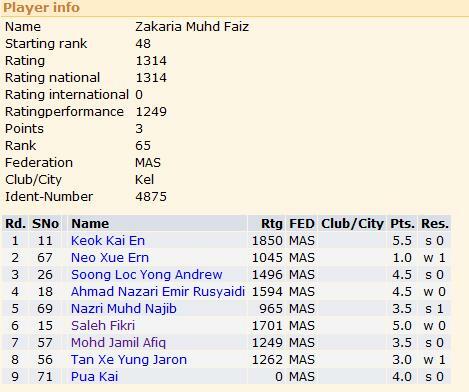 For all the four Kelantan juniors (2 boys and 2 girls) who experienced national ratings drop ONLY played in ONE nationally-rated chess tournament which is the NJCC for the 2011 JAN MCF ratings. So, it is very important for them to make good and enough preparation for such tournament. Otherwise, their national ratings will be affected significantly. GiLoCatur hopes they will participate in many more rated events to have more consistent ratings. Even for that ONE rated event, their performance is not that very bad as GiLoCatur sees it. Let's see below. Seeded 54th with Oct 2010 ratings of 1285, Nik Muhd Haziq won both his games against unrated opponents in the 2nd and 5th round respectively. Even he managed to win against one higher-rated opponent in the 6th round. In order for him to improve his ratings, he should had won his last two 1300-rated opponents which ratings gap is relatively small. By the way, he dropped 31 rating points from 1285 to 1254. For Muhd Faiz Zakaria, he just lost two out of five lower-rated opponents. For sure, his 7th round opponent had participated in many more chess tournaments than him. GiLoCatur strongly believes that Faiz can challenge both 1300-rated and 1400-rated players if he can participate at least three to five tournaments in a month or if he can spar once a week against stronger players. Maybe PCNK can set the sparring activities for Kelantan juniors like him? Fatih lost only to two lower-rated opponents - Latifah Syamimi and Zainoor Ikmal Maisarah. Syamimi is a strong player actually and if not mistaken was once MSSM KL player. She is the elder sister of Kaiyisah. While Maisarah, eventhough just 8-years-old, has participated in several international chess tournaments like ASEAN and World Youth. In fact, she (Fatih) won against Nur Farihah Aminuddin, a strong player and among the latest top 20 most improved ratings in the sixth round. So, her performance is not that bad GiLoCatur thinks. She just lost 27 points for her national rating points. 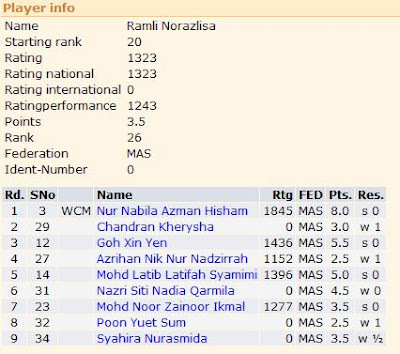 As for Norazlisa Ramli who had MCF rating of 1323 in October 2010 losing one game to unrated opponent and another to Zainoor Maisarah, She had lost 62 points in a single rated tourney, to 1261. The above is only humble opinion and analytical observation of GiLoCatur. GiLoCatur really hopes that all the Kelantan young players are given the chance and opportunity to play many more rated chess tournaments to shine and show their real talents. GiLoCatur also hopes that they will take the opportunity to participate in the coming Kelantan Closed event since it will be a nationally-rated tourney. Are you a genius? How do I Know? A genius is normally has high IQ. What is an IQ actually? IQ stands for Intelligent Quotient. It is a numerical score based on standardized tests which attempt to measure intelligence. You want to know more? Ask Mr Google my friend. Or check here. Who are among the top genius list? Are chess players among them? GiLoCatur found that Kim Ung-Yong is the most genius with IQ of 210. Leonardo da Vinci is considered by many a genius. Among the chess players, Bobby Fischer is believed to be a genius. Beside him, Gary Kasparov is alleged to have an IQ of 190. Both Robert Byrne and Judit Polgar, the numero Uno female chess player, also make the list. Both are alleged to have 170 IQ. Click below links for further reading (articles) about IQ. The Malaysian national ratings or MCF ratings is already out few days ago. You can get it from IA Lim Tse Pin's chess blog here. Surely, it took lots of efforts by Tse Pin to work out the long-awaited ratings. On behalf of the Malaysian chess community, GiLoCatur would like to say thank you to him. So, how is your MCF rating? A plus? A minus? A no change? 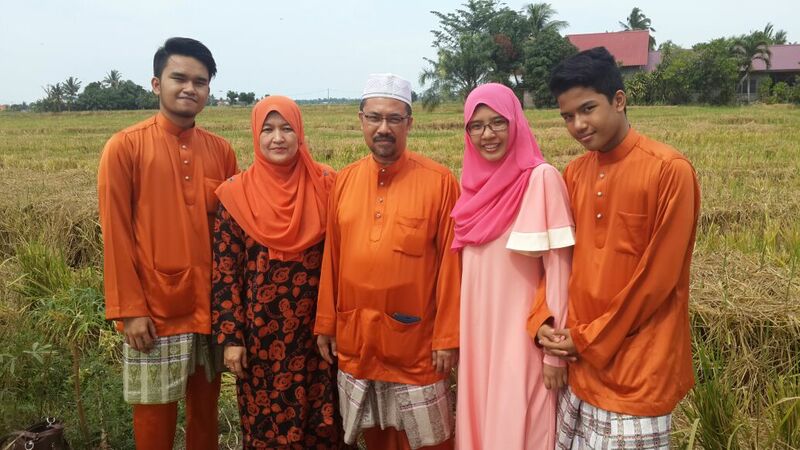 As for GiLoCatur's family, only both Fikri and Anis had their ratings change. They both participated in the NJCC or National Junior Chess Championship last month. Fikri has a minus or decrease. His ratings is down 43 points to 1521. It is really a challenge for him to improve the rating to reach the 1650 mark. Fikri has to gain +129 points in order to achieve his MCF rating target for this year. While Anis surprisingly managed to gain 53 points to make her rating become 1391. It is closer to her rating target of 1500. GiLoCatur said "surprisingly" because she stopped her chess activities for nearly six months to focus on her UPSR exam. GiLoCatur hopes that more and more nationally-rated chess tournaments are and will be organized this year. DO NOT AFRAID to participate in rated chess tournaments. DO YOU DARE! or ADA BRANI! Such tournaments are important for the Malaysian chess to improve and develop. So, folks! Practice, practice, and practice. Learn and study more chess. Improve your national ratings. Show that you have improved. Show that you are better. ATTENTION TO PERAKIAN SCHOOL PUPILS! GiLoCatur just found out that a chess tournament will be held at a school named SMK Tok Muda Abdul Aziz on 30th January 2011, the same day as DATCC Renegade Rapid. It is very good that such tournament is being organized at the school where education takes place. One of the objectives of the tournament is as a warm-up or preparation for MSS District tournament. The tournament fees are inexpensive - RM 6.00 for the school pupils and RM 10.00 for the open (adults). It is organized by the school's chess club and PICA. The format of play is G/20 or 20 minute per player of 7-Swiss rounds. The one-day tournament is scheduled to start at 9.00am. Be at the school's hall at 8.30am for the tournament briefing and registration. All the school children especially from Perak state are very welcomed to participate. The prizes will be divided into 8 categories where six of them are for the school children - L12, P12, L15, P15, L18 and P18. Trophies will be awarded to the top three for each category. As for the Open category, hampers will be given to the top three for each men and women category. Please pra-register by fax to 05 5951371 (attention to: Encik Shamsuddin Salleh) before Friday, 28th January. BCWM is an acronym for Biro Catur Wanita MCF or simply in English, MCF's Women Chess Bureua. When is its birth? From its official blog, it is officially started since Wednesday, August 11th last year and will be helmed by Puan Haslindah Ruslan, MCF's woman Vice President. GiLoCatur could not find its vision, mission and objective yet but surely it is to cater the Malaysian women chess. A good start for Malaysian women chess players including Anis Fariha, GiLoCatur's daughter. GiLoCatur hopes it will be active in promoting chess among the Malaysian women and take care of them. 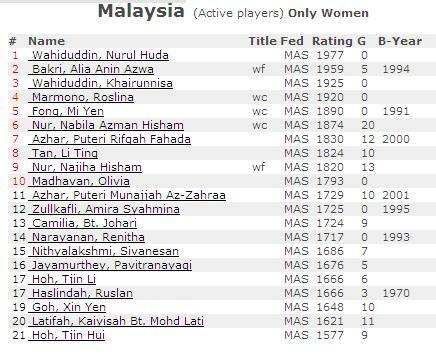 So, go check out its official blog to get info, news and updates about Malaysian women chess. After the 17ChessClub Rapid Open last weekend, there was another tournament. It is a blitz of 5-minute-per-player tourney. Fourteen local chess players took part in the event. GiLoCatur and Fahim did not take part but watched the first few rounds. This type of chess event or tournament should be organized more often and more and more Malaysian chess juniors should be encouraged to participate as the blitz has many benefits for them. Do you want to know who participated in the blitz event? Check them out in below photos. Saprin aka Nf6 who GiLoCatur believes is one of Malaysian blitz masters did not take part in the blitz tourney even though he played in the rapid tournament earlier. Do we have chess tournament in here in Malaysia this coming weekend, 15th and 16th January? YES, we do! One of them is as per below details. Limited ONLY to players who have qualified from the Quarter Final Stage! Qualifiers who attended this stage but LOST, can attend next series of Elite Tournament with fees RM10 only per stage. GiLoCatur found an interesting article written by Susan Polgar, a great chess female player and ambassador in chesscafe.com. "It is an embarrassment for a country this size to produce so few world-class players. There are a number of reasons for this, but the biggest problem is the lack of a uniform training system. In fact, there is no official system at all, and the USCF has done nothing to solve this problem. Many of our kids are being taught incorrectly because parents often don’t know any better and coaches want immediate results. Disregarding a solid, basic chess foundation may work when competing against other very inexperienced children, but it is not sound. 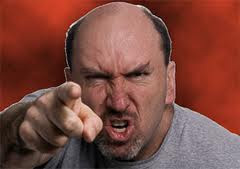 As these players grow a little older, they start to fail miserably, through no fault of their own. They simply were misguided; many then get discourage and quit. This becomes a scholastic chess mill with no long term success." Isn't it true and doesn't it sound familiar in the Malaysian chess scene? Don't you think that one or all of the above reason(s) why many Malaysian chess junior players quit and left chess? Do we have any uniform training system here in Malaysia? What we, the Malaysian chess community including MCF, can do about it? Yesterday 9-year-old Fahim and his dad, GiLoCatur, had participated in the nationally-rated 17ChessClub Open organized by Pengurusan Catur Ar Rahman. The 7 Swiss rounds of G/25 tournament was held in the DAT Chess Center. The tournament had attracted about 50 local chess players including Malaysian-based pinoy, Ian Udani. In order to fulfill the mission of Improving Chess Ratings, GiLoCatur brought Fahim to the first rated chess tournament for the year 2011. His elder brother, Fikri, and sister, Anis Fariha, could not come along because they are at their boarding school and the school is just started. So, how was the performance? One interesting fact about the tournament is that the 17ChessClub tournament had attracted several Malaysian chess bloggers. They are Razali Hamzah aka Ng6, Shamsuddin Sabri aka fireyrook, Nor Ilhamuddin Shaikh Ali of ChessOdyssey, Rizal Ahmad Kamal who is the blog owner of Rizal's Chess Trading and GiLoCatur. Fauzi Ahim (left in above picture) had taken up the challenge to play in a rated tournament. As far as GiLoCatur can recall, he had not played in any rated tournament previously. Therefore he has yet have a national or MCF rating. GiLoCatur notices several new faces in the tournament. Some are really totally new in chess tournaments while others just make a comeback like Foo Chee Kin, GiLoCatur Round 1 opponent. According to him, he is just making a comeback after five years. His last national rating is around 1700. In fact, Chee Kin was placed second during the recent Sarawak Open. Click here for the tournament's final ranking in chess-results.com. So what are the results? Who became the champion? Who were the winnners? Abdullah Che Hassan had been declared as the champion after having better tie breaks than Ian Udani and Ahmad Fadzil Nayan. All three of them scored 6/7 points. Fadzil could not manage to win or draw in the final round against Ian to become the champion. The recent Malay champion Saprin who beat Ian in the 5th round, could not continue his winning streak after being defeated by Abdullah and Fadzil in the last two rounds. Click here for the all rounds pairings. Click here for the final ranking crosstable. Click here for the official winners. Click here to view the photos of the tournament. THREE national-rated chess tournaments in January 2011. WOW! What a treat for Malaysian chess players. What a start for Malaysian chess in the year 2011. How do you want to measure and gauge your chess performance and improvement? Surely by participating and playing in rated chess events. What a feeling it will be when you can beat higher-rated opponent. GiLoCatur is a 1200-rated player. GiLoCatur would wonder, can he beats 1300-rated or 1400-rated opponents? GiLoCatur targets to achieve 1300 rating by the end of the year. Meanwhile, Fahim, GiLoCatur's youngets son, is currently rated 1172. The target for him is to achieve the 1300 mark also. How GiLoCatur and Fahim can do that if not participating in a rated tournament? Therefore, GiLoCatur and Fahim plan to participate in as many rated tournaments as possible in the year 2011. What are the above chess tourneys have in common? The first MCF chess tournament for the year 2011 is the National Age Group or simply known as NAG. When it will be held? It is scheduled to start on 12th March and end on 15th March during the first midterm school break, 12th to 20th March. Where is the venue for the tournament? The detail is not known yet but it will be in Kuala Lumpur. GiLoCatur started to involve in NAG for its 2008 edition that being held at the OCM Indoor Sports Arena. The 2009 edition was held at the Pearl Point Shopping Mall. Only Fikri and Anis participated in the two NAG editions then. Fahim started to participate in NAG in last year edition held at Seri Pinang Hall, Penang. For sure, Insya Allah, GiLoCatur will be there at the 2011 NAG to watch Fikri, Anis and Fahim playing in their respective age groups. All of them will play in new age group category for the 2011 edition. While both Fikri and Fahim will be in Boys U16 and U10 category respectively, Anis Fariha will be in Girls U14 category. 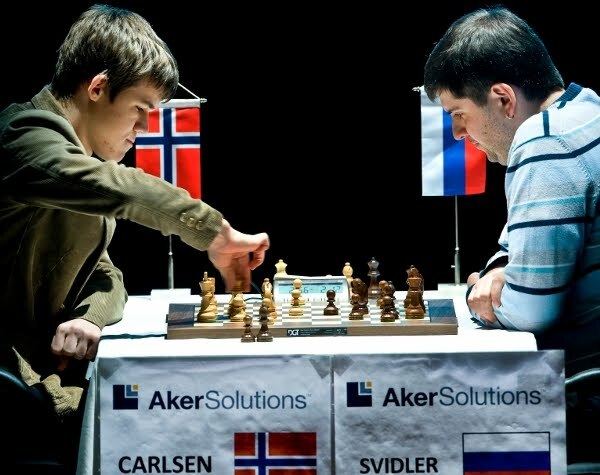 GiLoCatur hopes that the 2011 NAG will be both nationally- and FIDE-rated. GiLoCatur also hopes that the tournament will attract more and more participants and from each state in the country. So, start practicing and making the preparation from today boys and girls! Ratings is the KPI or Key Performance Index for chess players. So, let's see about it. For chess, there are two ratings that a Malaysian chess player can earn or obtain. A FIDE rating obtained when playing against opponents who have one in a FIDE-rated tournament. And a National rating or MCF rating earned when participated in a nationally-rated chess tournaments. 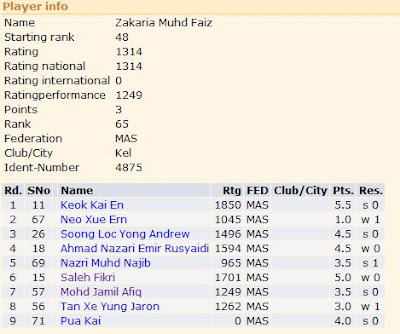 Based on the latest FIDE ratings as per here, in the Men's category, IM Mas is still the top Malaysian chess player with 2418. He had 9 games in the last two months. In fact, he is the only one who has 2400 ratings. IM Mok is in second place with 4 points short of the same ratings division. As far as GiLoCatur observes, there is no junior player among the top 10. NM Edward Lee is at 17th place while NJM Eng Chiam is at 20th place. Malaysian best chess future, Li Tian, is at 23rd place. It is a challenge in the year 2011 for all the junior players to climb up the ladder to be among the best Malaysian chess players. How about the women section? As shown in the following chart, experienced and matured Wahiduddin sisters, Nurul Huda and Khairunnisa, are among the top three. No one has 2000+ ratings. 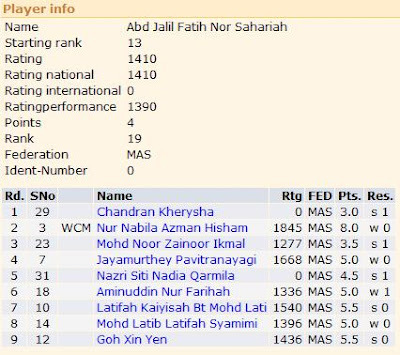 The Malaysian top woman chess player has only 1977 ratings. So, isn't it a good target or objective to have more players that have 2000+ FIDE ratings? Contrary to the men category, the Malaysian women chess are dominated by the juniors. It is GOOD! isn't it? 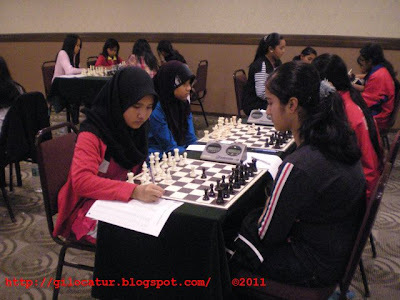 In fact, in the year 2010 Malaysian several women players had achieved chess titles. In the Chess Olympiad held in Khanty-Mansiysk, three of the five team members earned 1 WFM and 2 WCMs. The Azman sisters - Nabila and Najiha, earned their respective WCM and WFM titles in the ASEAN age group held in Vietnam. The majority of the Malaysian women players in the below list earned their FIDE ratings in the year 2010. So, how about the others like Sarika, Nur Farihah, Teh De Zen, Latifah Syamimi, Anis Fariha, and the Sabirin sisters, just to name a few? Have they plan and target to get the FIDE ratings this year? What MCF can do to assist and motivate our women and girls chess players? Has MCF put "to increase Malaysian chess players in the FIDE list" in its agenda? Surely, the parents like GiLoCatur would target and dream for their chess-playing kids to earn the FIDE ratings. As for GiLoCatur, the mission for Fikri to earn a FIDE rating had been achieved. He earned his FIDE rating in July from two tournaments - the Selangor Open and the National Closed Championship. But for the national ratings mission (as per stated in the right column of this blog), GiLoCatur and the kids did not achieve the target. So, what are the missions and targets for GiLoCatur and the kids in the new 2011 year in terms of chess ratings? To all Malaysian chess fraternity - MCF, chess officials, chess players, chess fans, parents, and chess coaches, let's get united and play our respective role in developing, promoting and popularizing CHESS in our beloved country. GiLoCatur hopes MCF will plan and implement a mechanism and programs to encourage and motivate more players to get FIDE ratings as well as to improve the ratings for those who already have. An incentive like giving recognition certificate is an example. GiLoCatur also hopes that all its major chess tournaments like the National Close Championship, the National Age Group, and the National Junior Chess Championship will be both nationally-rated and FIDE-rated. Good Bye 2010, Welcome 2011! The year 2010 had left us. Today is the first day of the new 2011 year. The above numbers are very symbolic especially for an IT guy like GiLoCatur. Why? Because 010111 looks like a BINARY number, just short two to make it a meaningful one. What is a BINARY number? GiLoCatur does not want to explain it here. Just check it out with Mr Google. For all chess enthusiasts, check out this link for a story that links between the power of a binary number and chess. So, what we had achieved during 2010? What we had not achieved in the whole year from what had been planned, visioned, targeted and wished? We have to make a post-mortem, muhasabah, and kajiselidik the reasons or root causes that resulted in the failures. Surely, we need to plan, strategize, and make targets for the new 2011 year including chess development and advancement. How about for GiLoCatur and family? 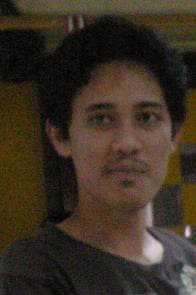 Ofcourse, the year 2010 had given GiLoCatur and family both sweet and bad memories, both achievements and failures. GiLoCatur will write about them later. SELAMAT TINGGAL 2010, SELAMAT DATANG 2011! GiLoCatur would like to wish a very blessed and successful 2011 year!